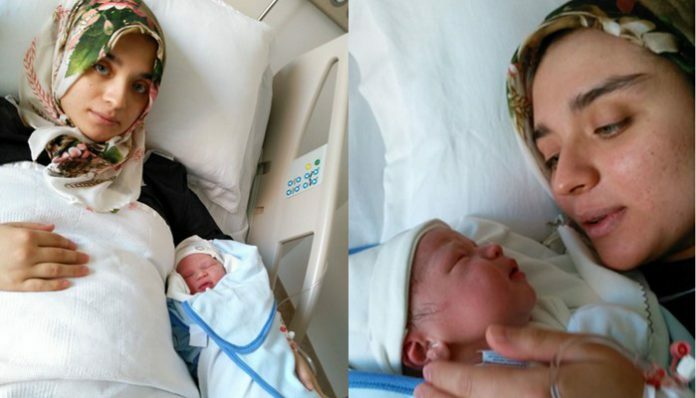 Hatice Avan, who gave birth to a baby in the western Turkish province of Denizli on Thursday, was detained on Friday, despite her doctor’s objection, over alleged links to the Gülen movement, which is accused by the Turkish government of masterminding a failed coup attempt on July 15, 2016. Avan, who used to work at a student dormitory affiliated with the Gülen movement until three years ago, was taken to the prosecutor’s office although her doctor warned that she had just had surgery and was suffering from poor health. Avan is not the first mother to face detention immediately after delivery. Havva Hamamcıoğlu, Nazlı Mert, Esra Demir, Aysun Aydemir, Elif Aslaner and Fadime Günay are only some of the women who also faced detention shortly after delivery as part of the post-coup witch-hunt targeting alleged members of the Gülen movement. More than 17,000 women in Turkey, many with small children, have been jailed in an unprecedented crackdown and subjected to torture and ill-treatment in detention centers and prisons as part of the government’s systematic campaign of intimidation and persecution of critics and opponents, a new report titled “Jailing Women In Turkey: Systematic Campaign of Persecution and Fear” released in April by SCF has revealed. The military coup attempt on July 15 killed over 240 people. Immediately after the putsch, the Justice and Development Party (AK Party) government along with Turkey’s President Recep Tayyip Erdoğan pinned the blame on the Gülen movement. This article originally appeared in Turkish Minute on June 23.